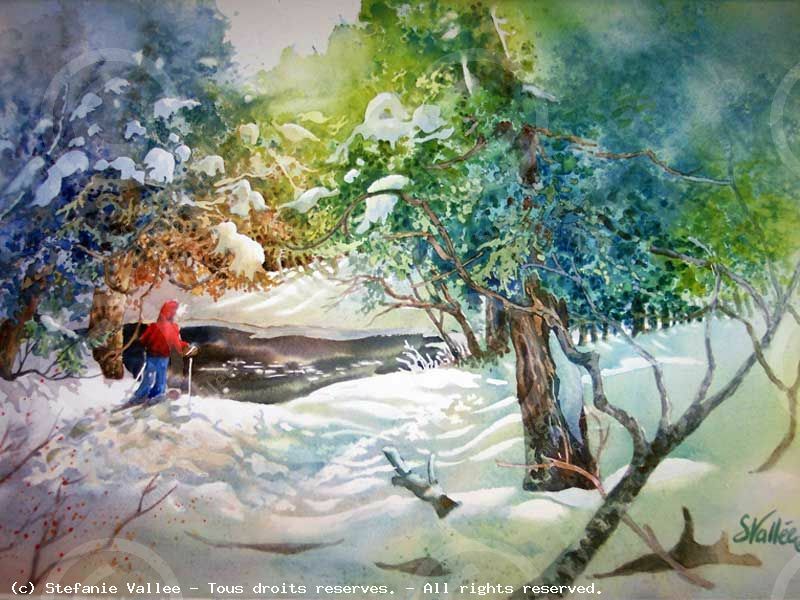 Stéfanie Vallée was born in Saguenay in Québec, Canada. 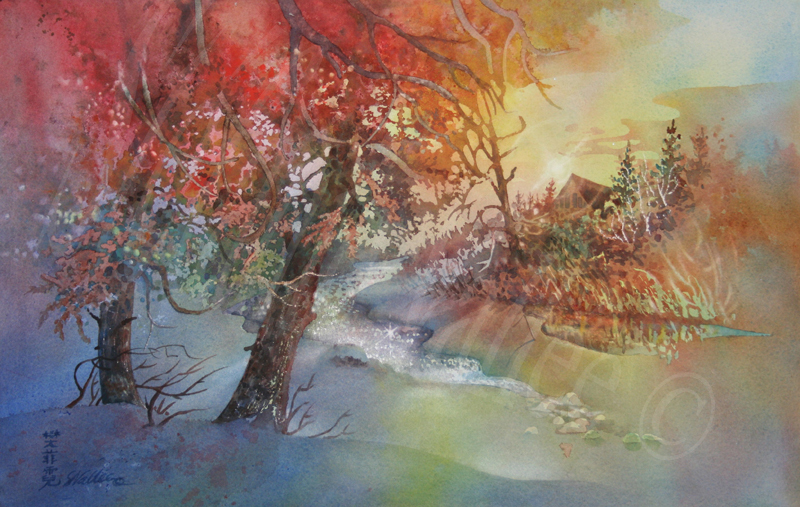 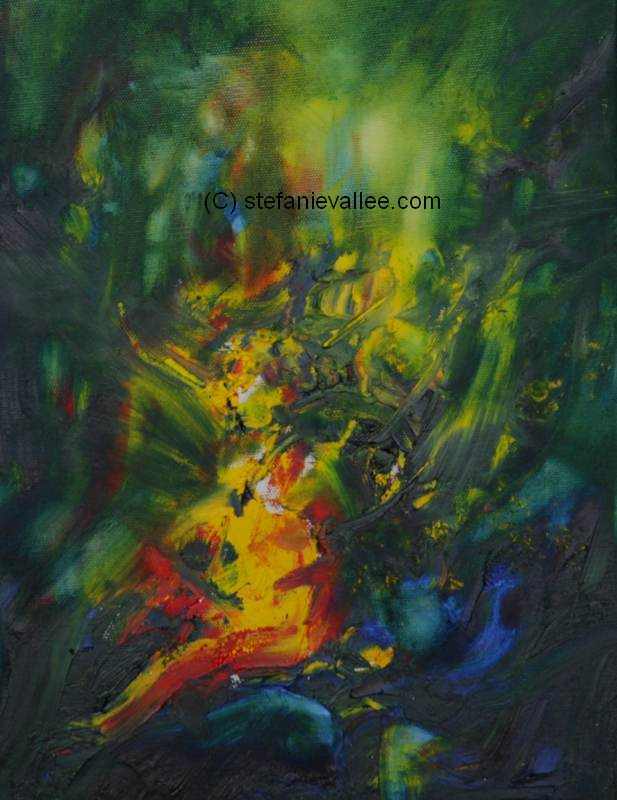 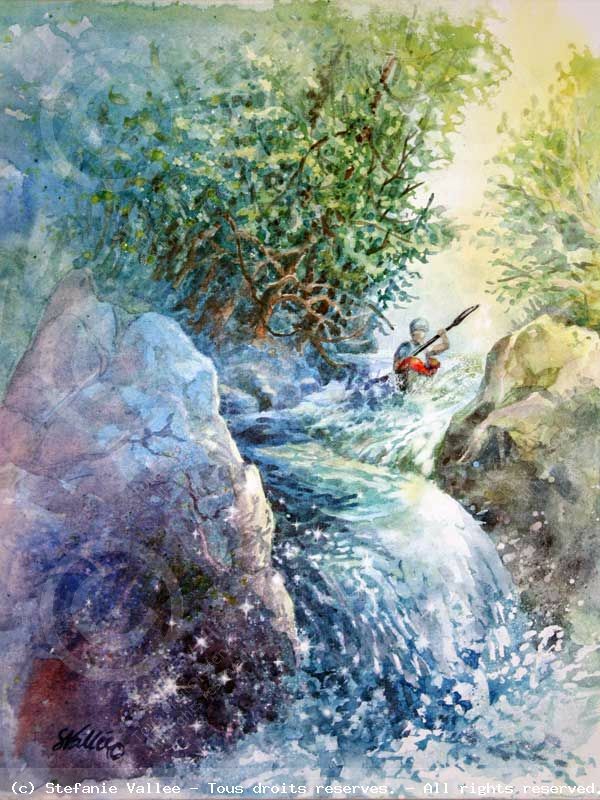 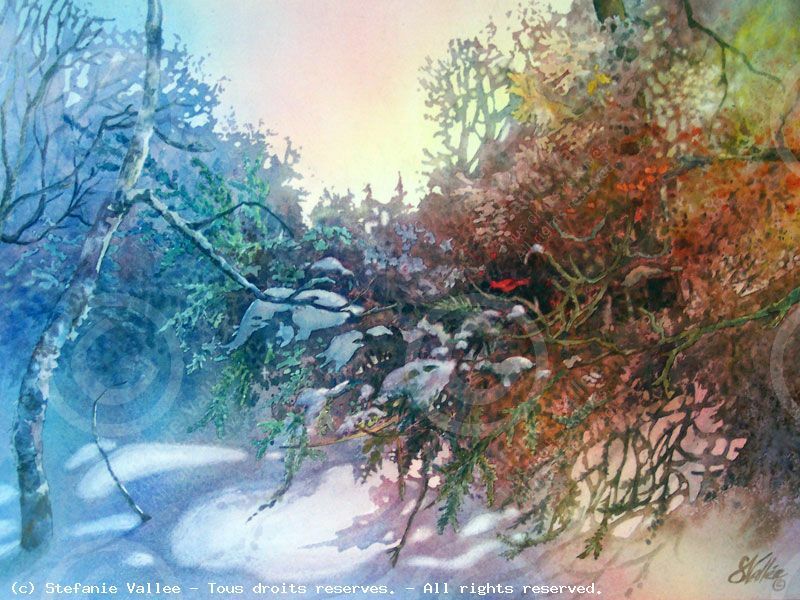 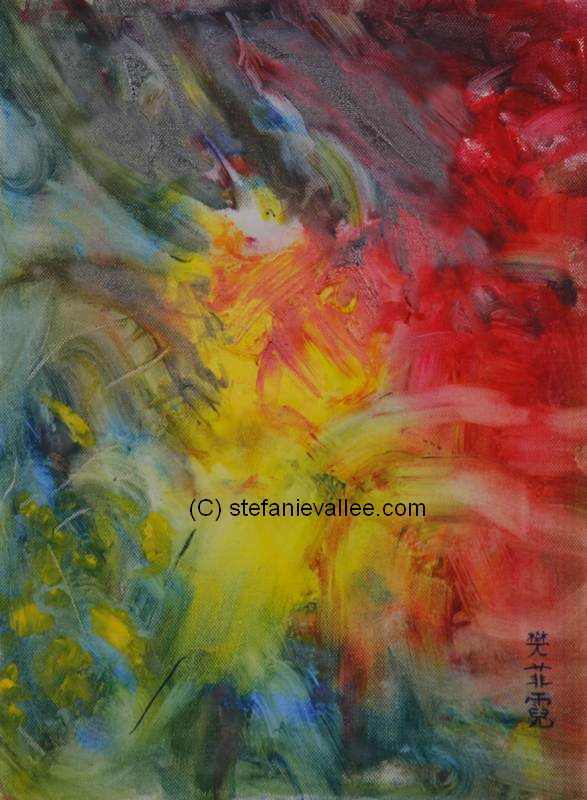 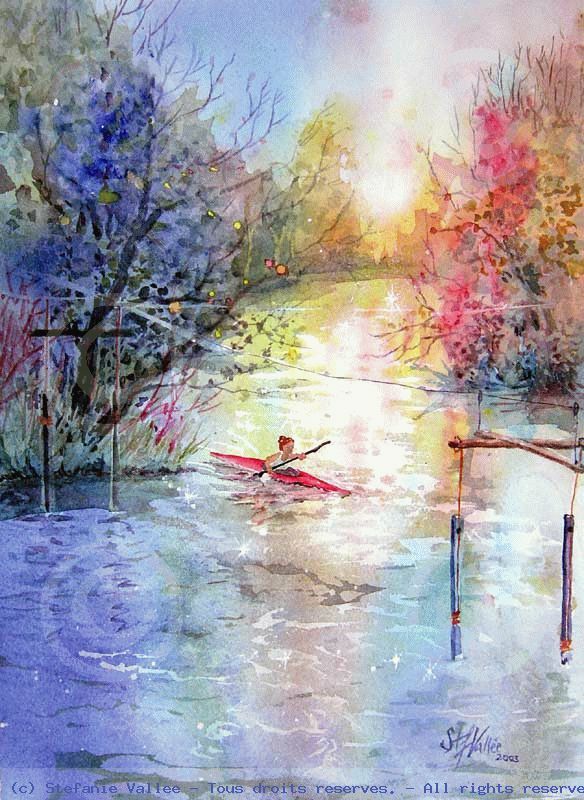 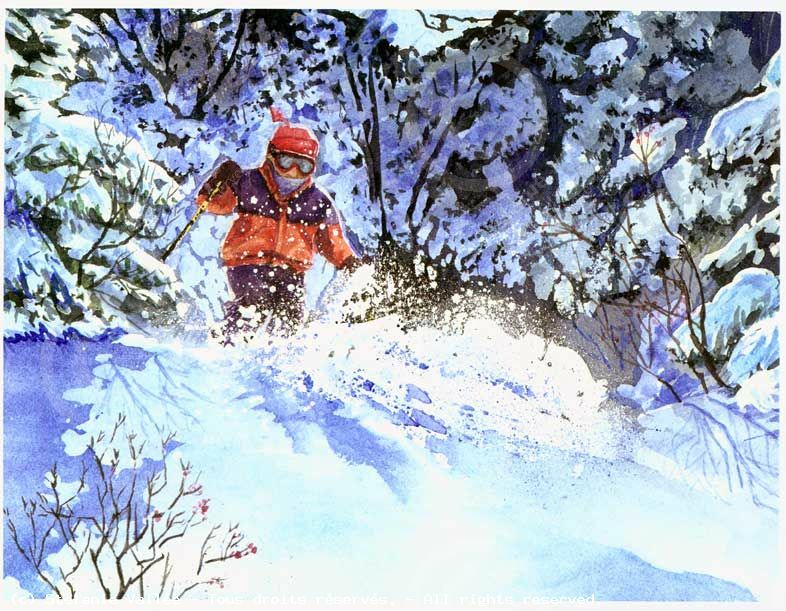 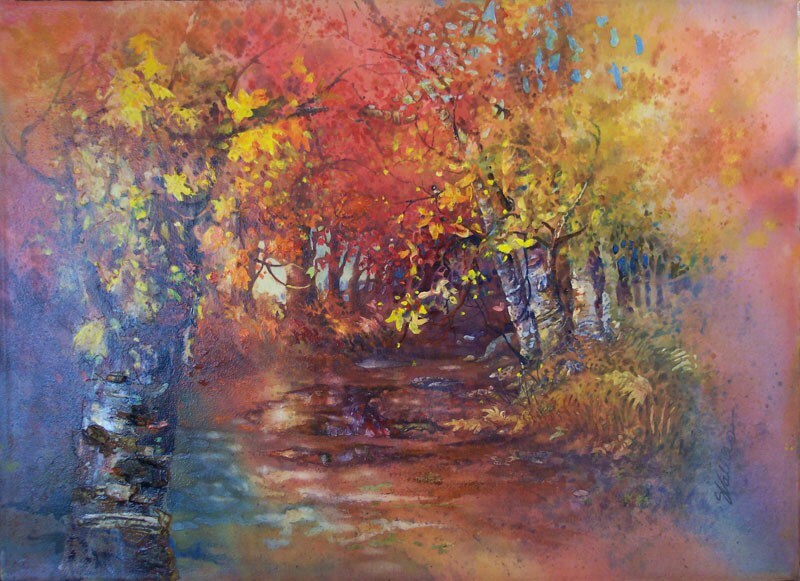 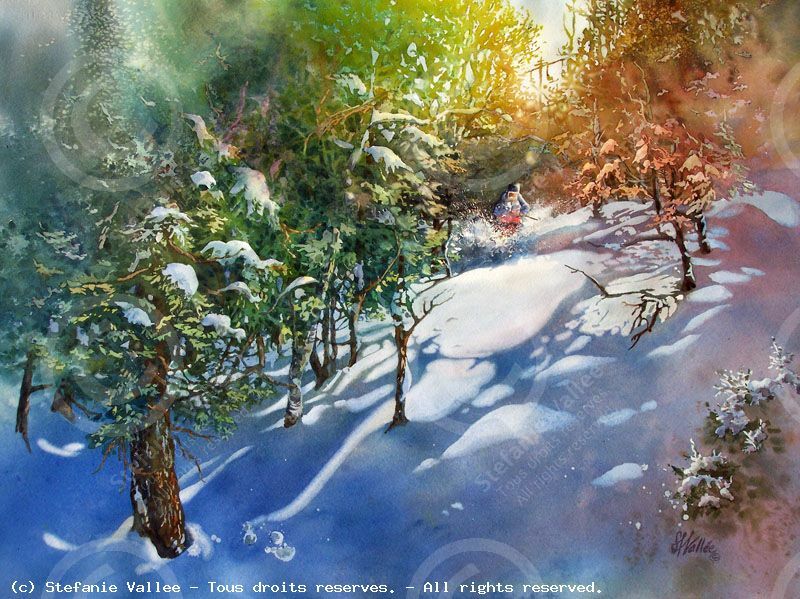 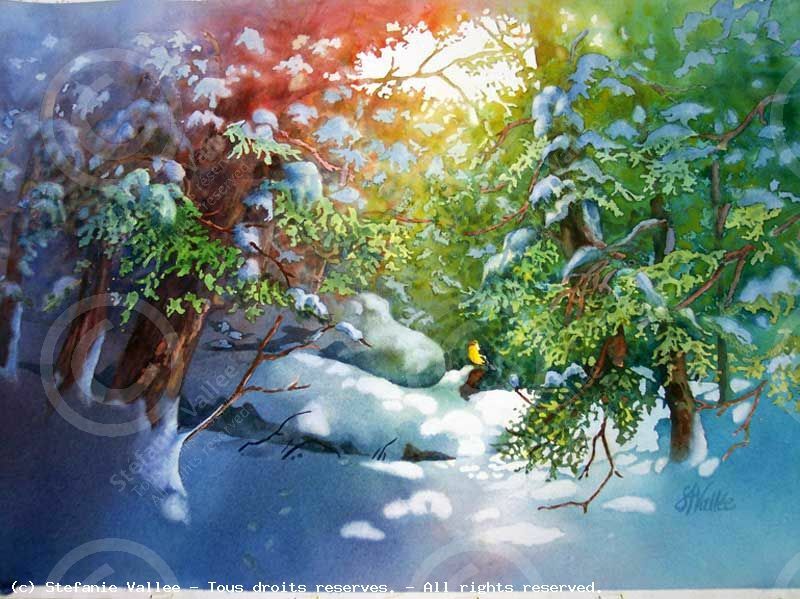 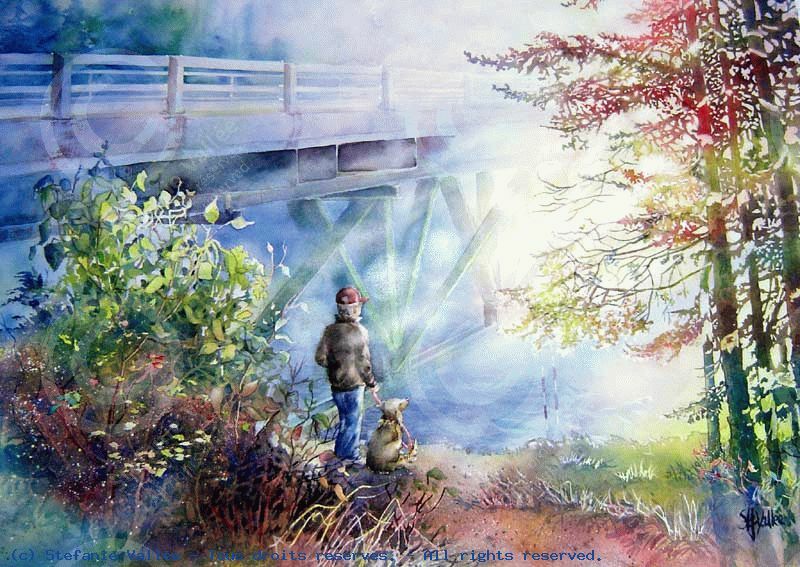 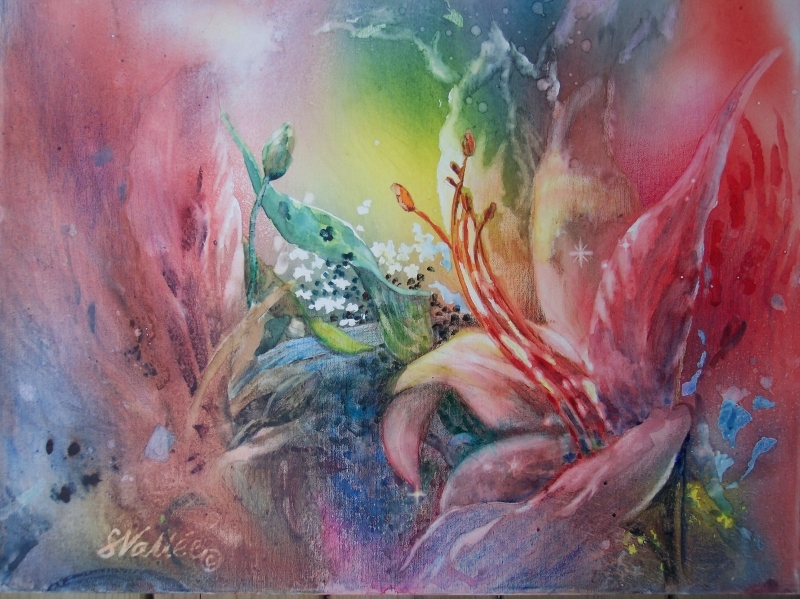 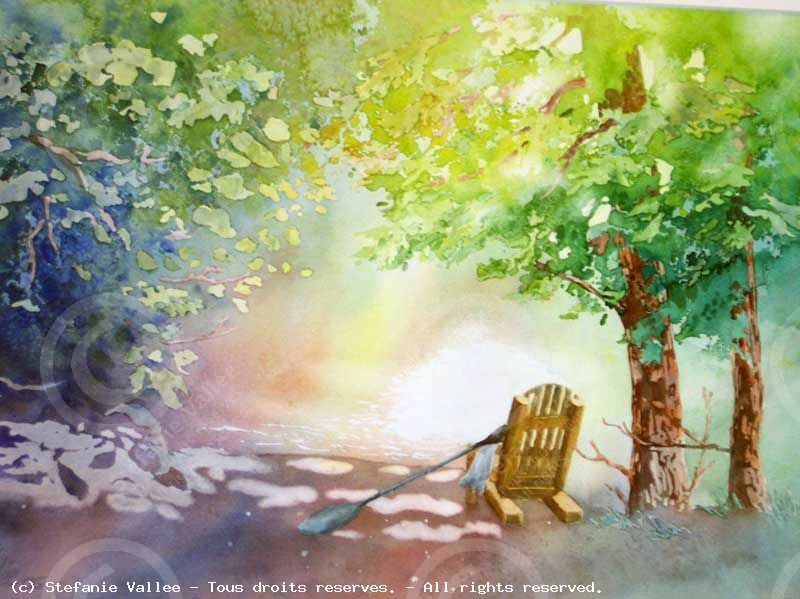 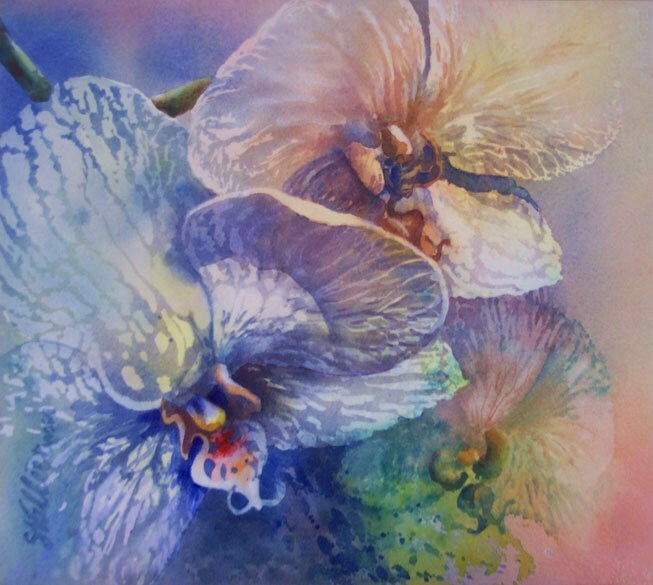 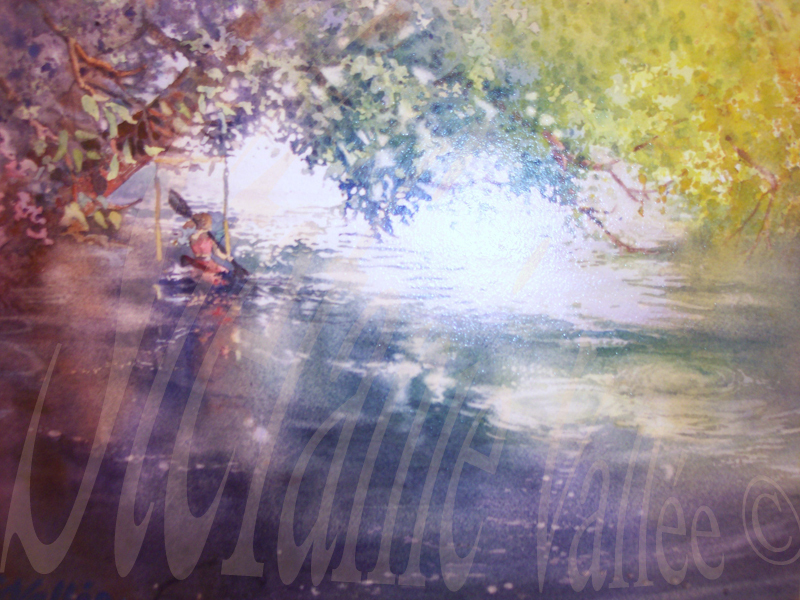 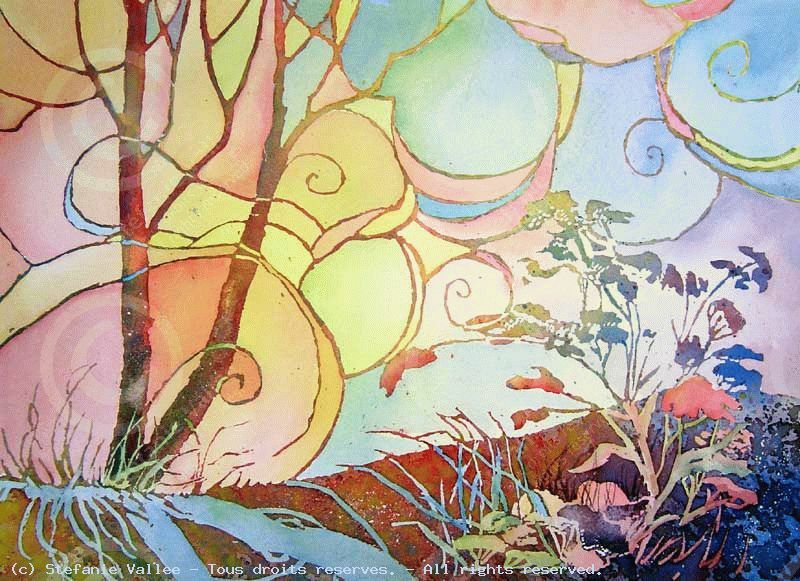 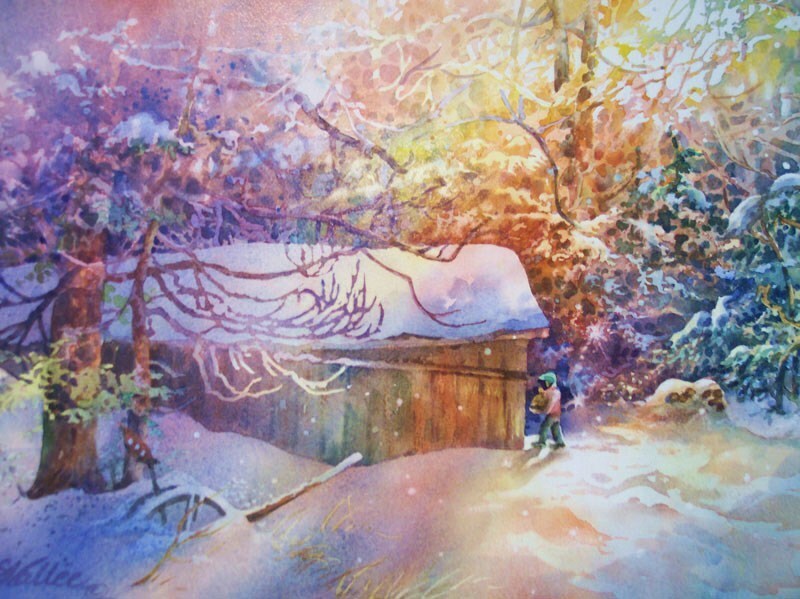 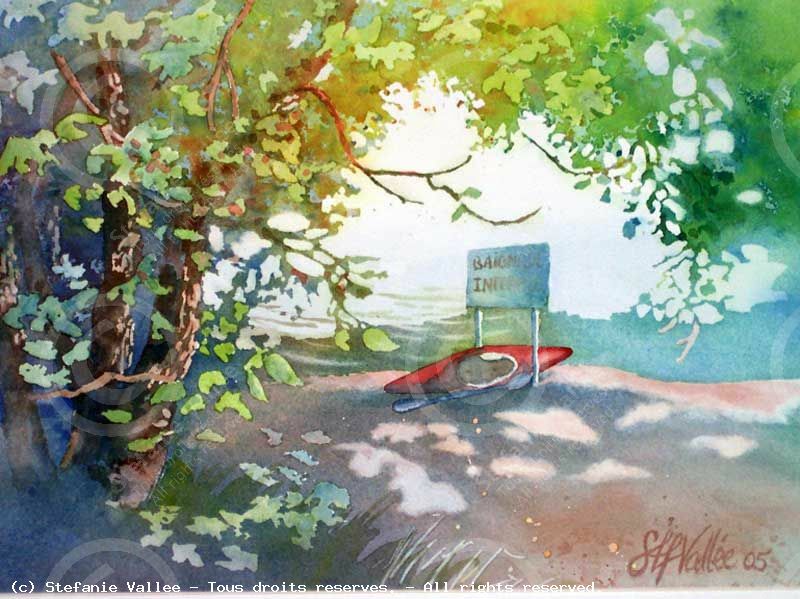 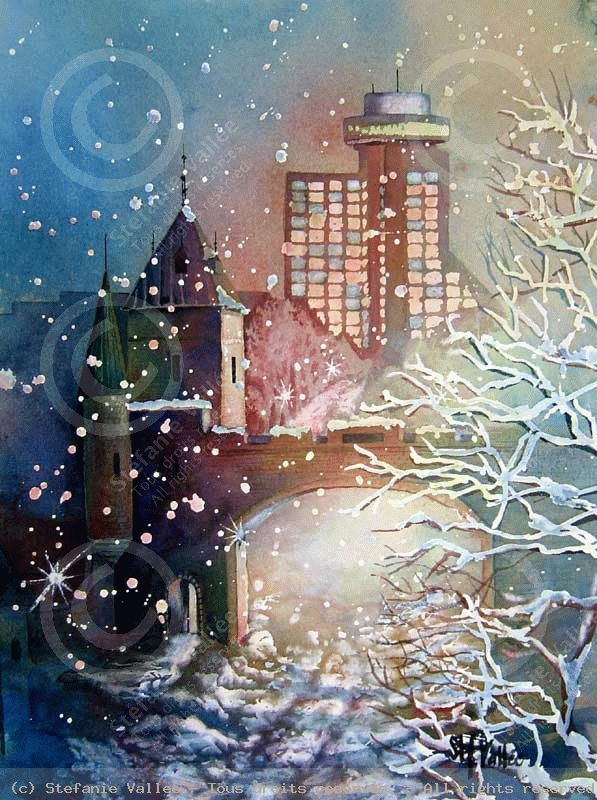 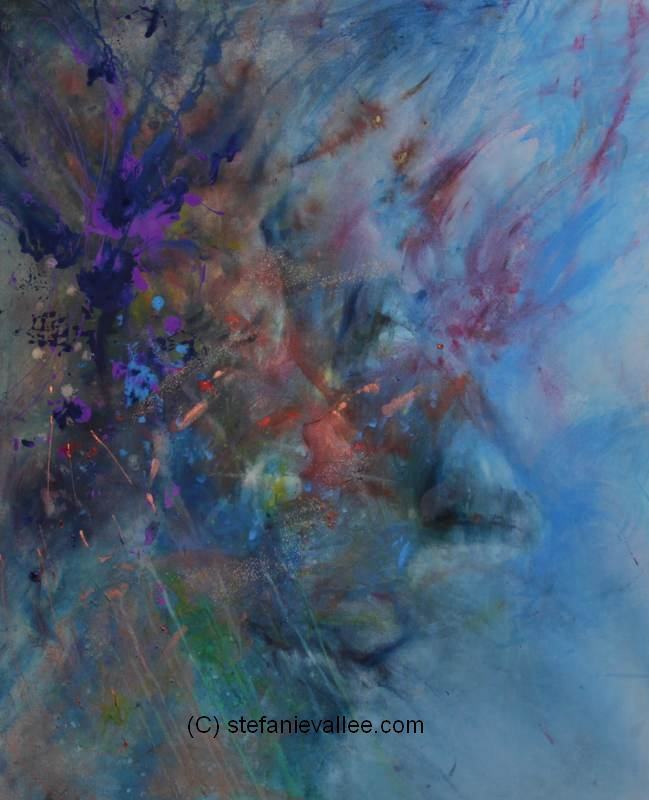 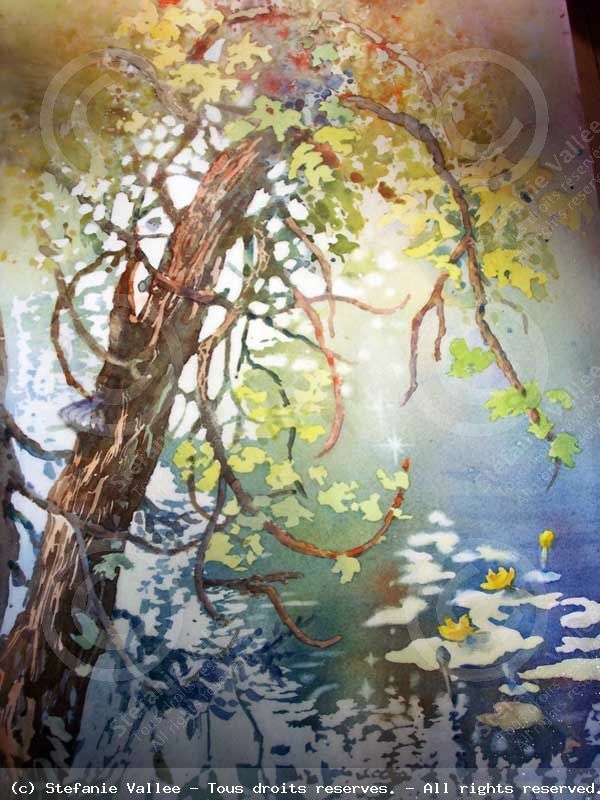 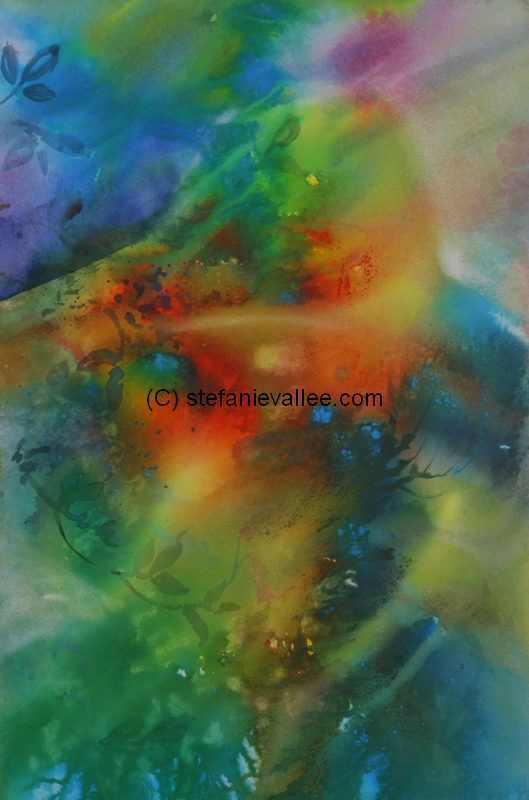 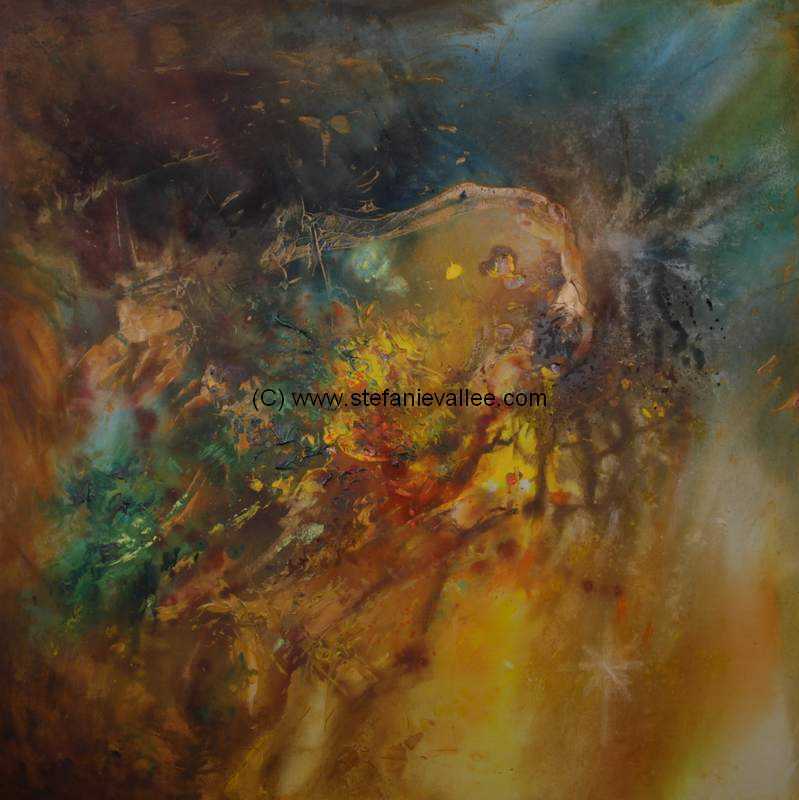 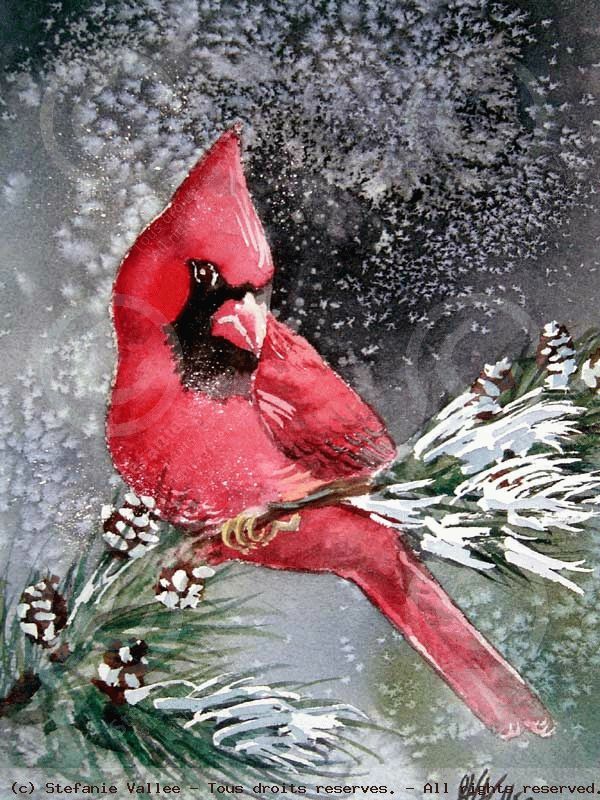 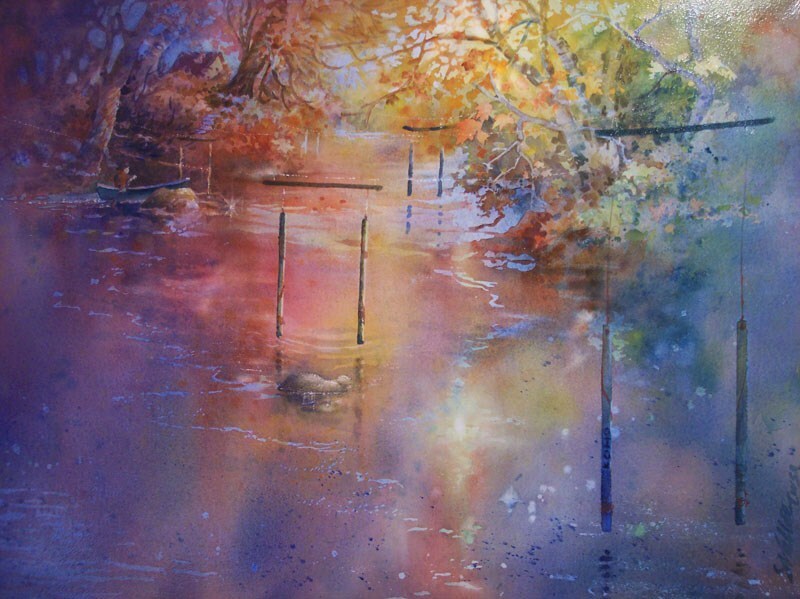 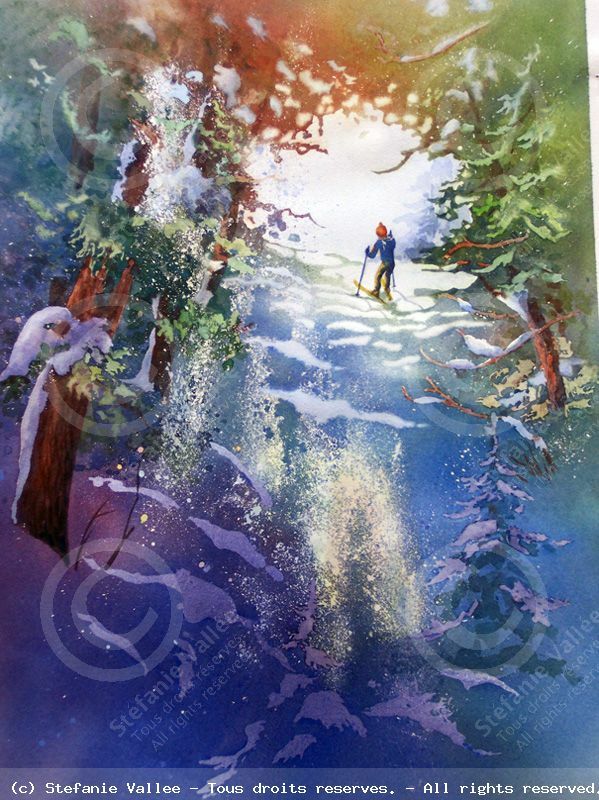 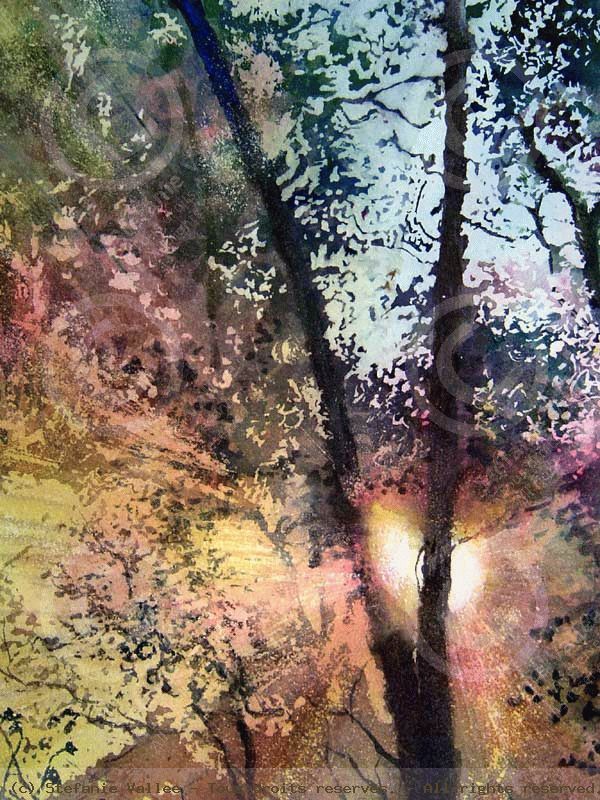 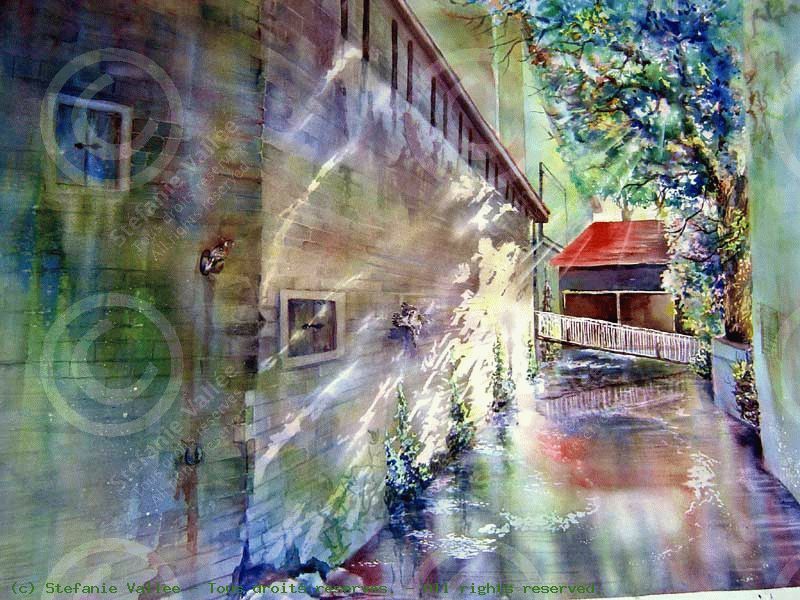 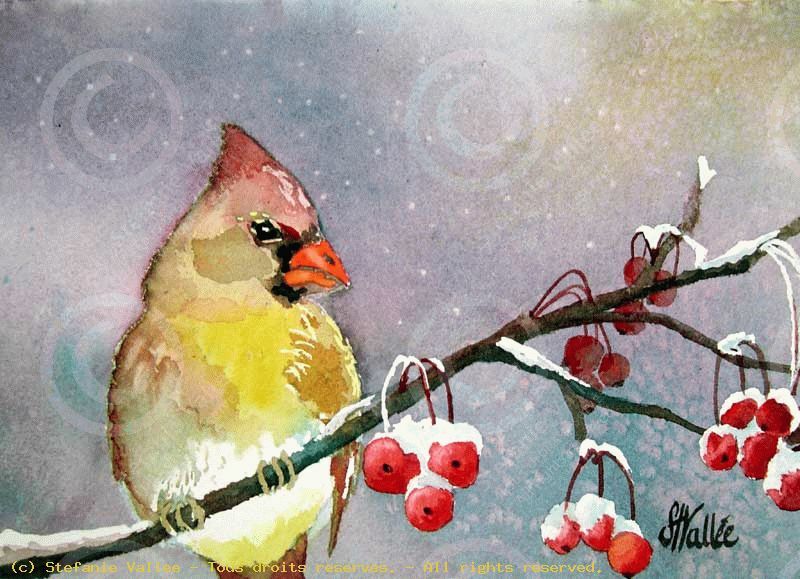 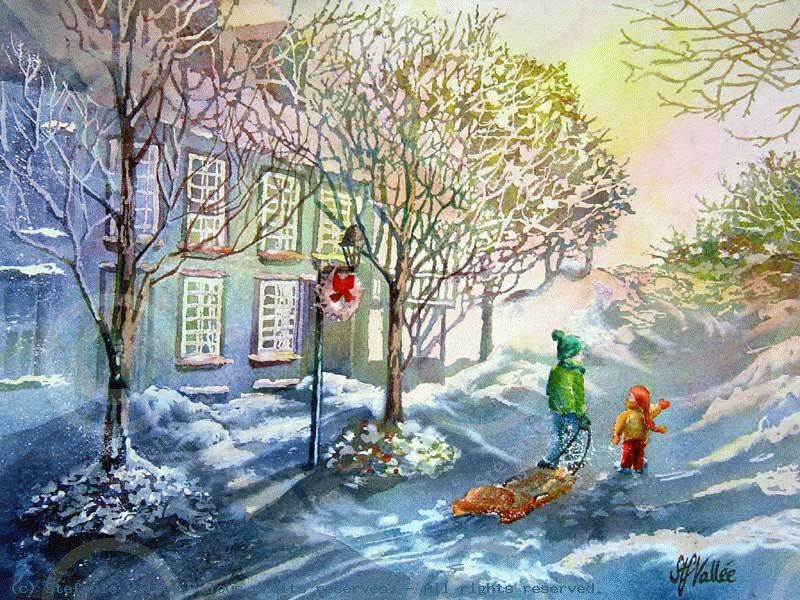 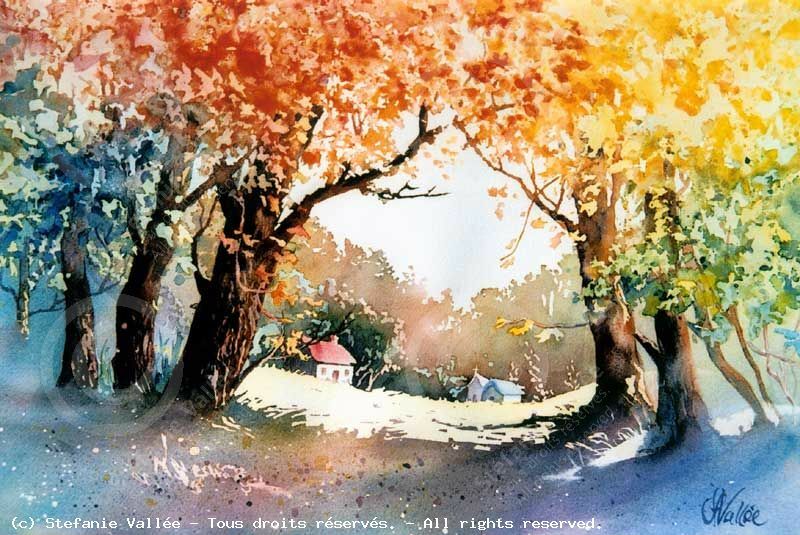 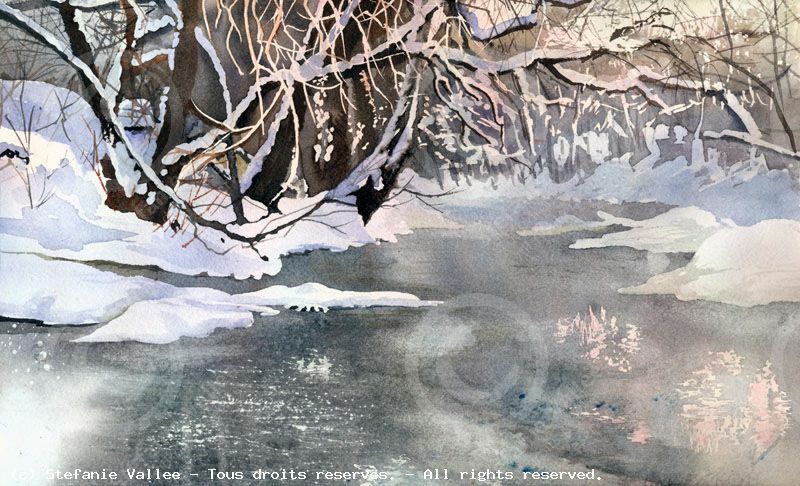 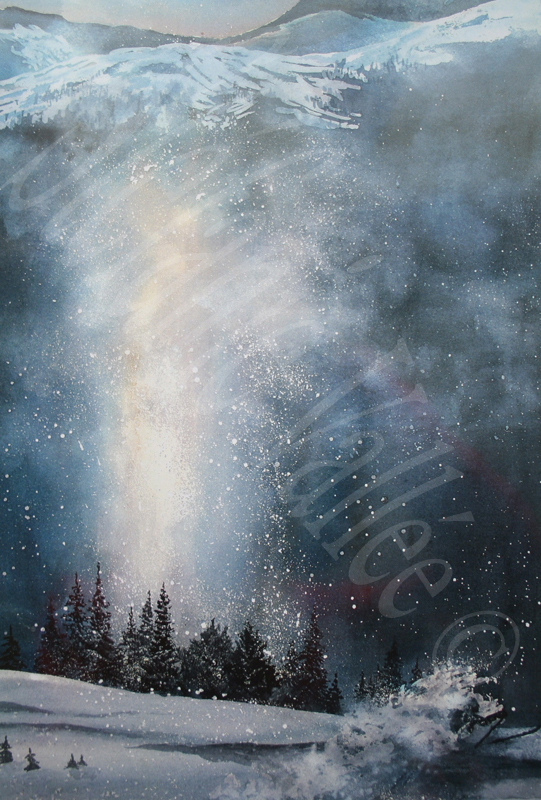 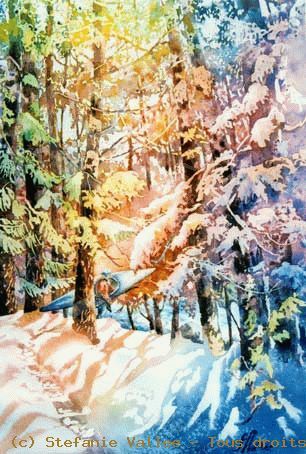 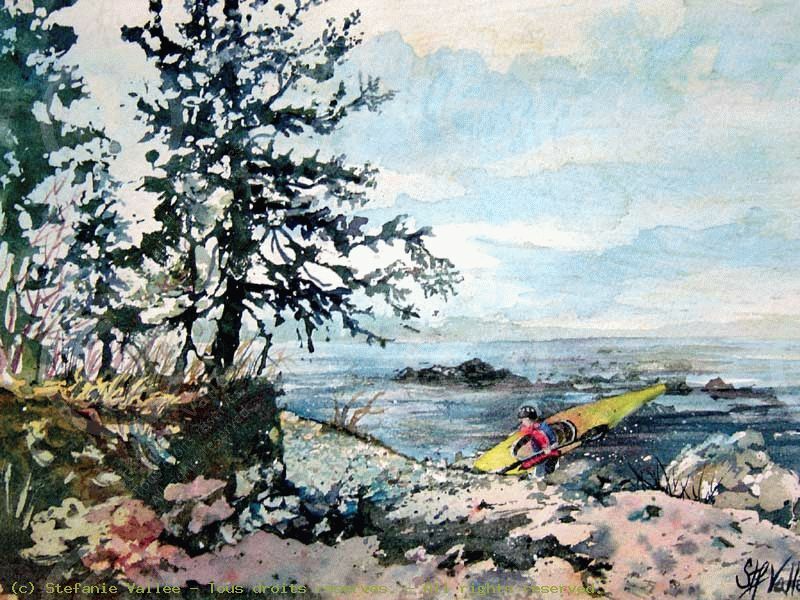 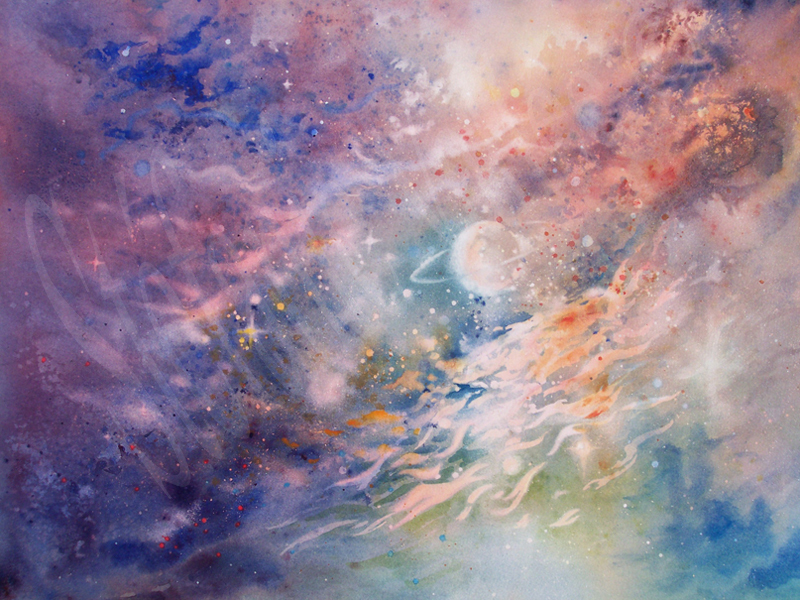 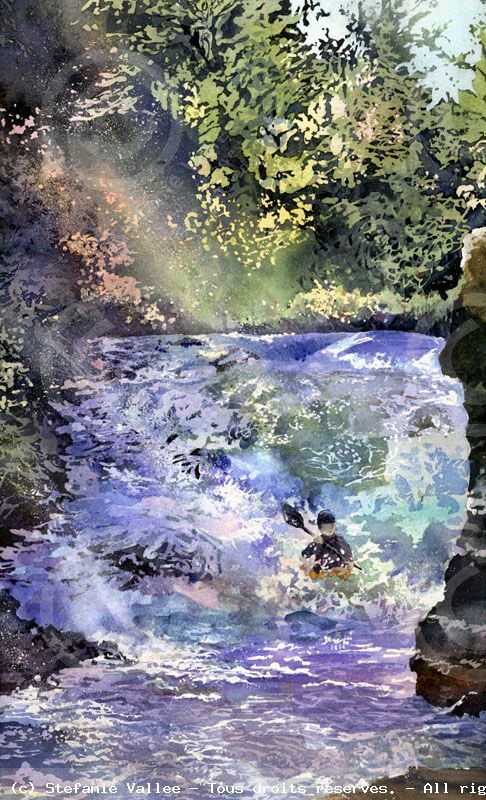 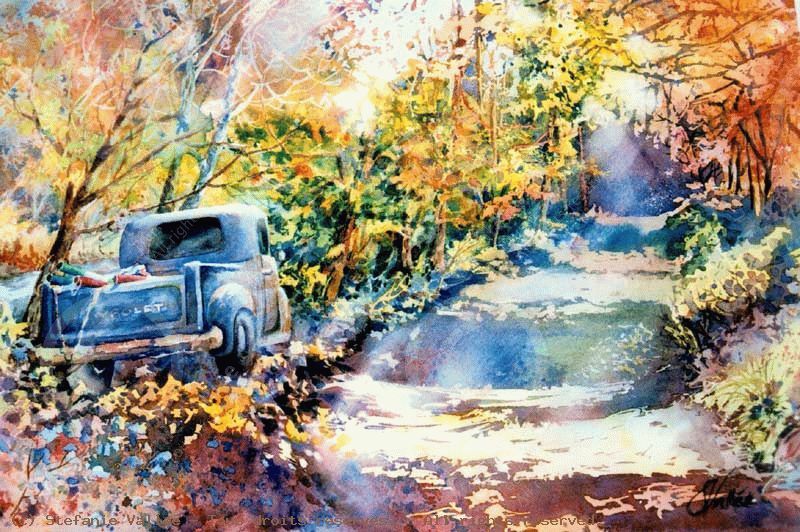 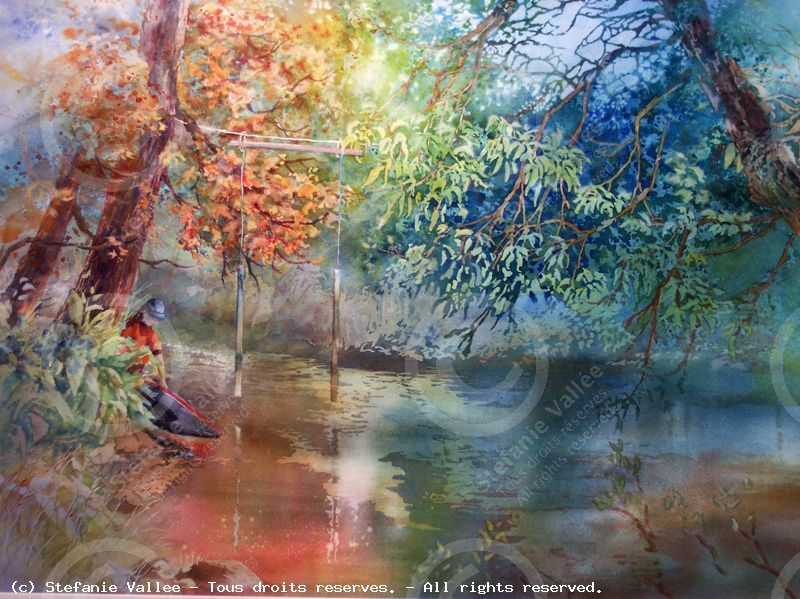 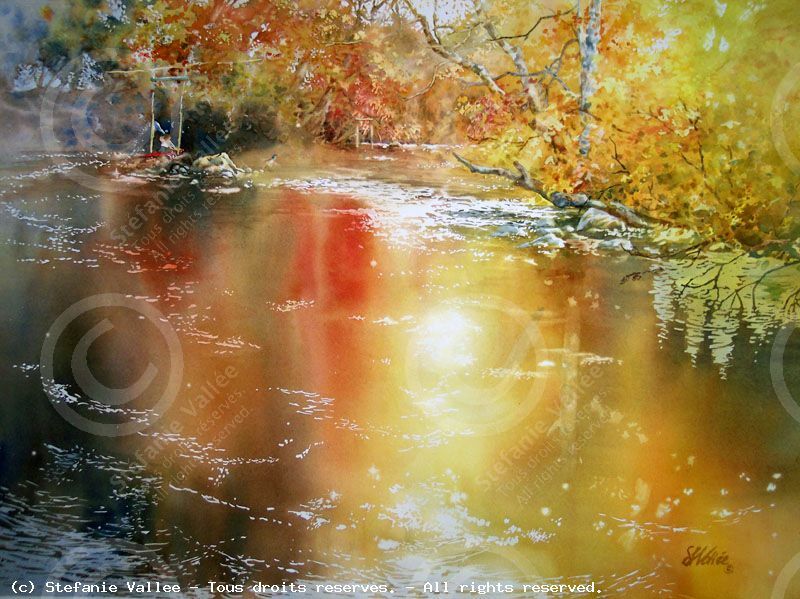 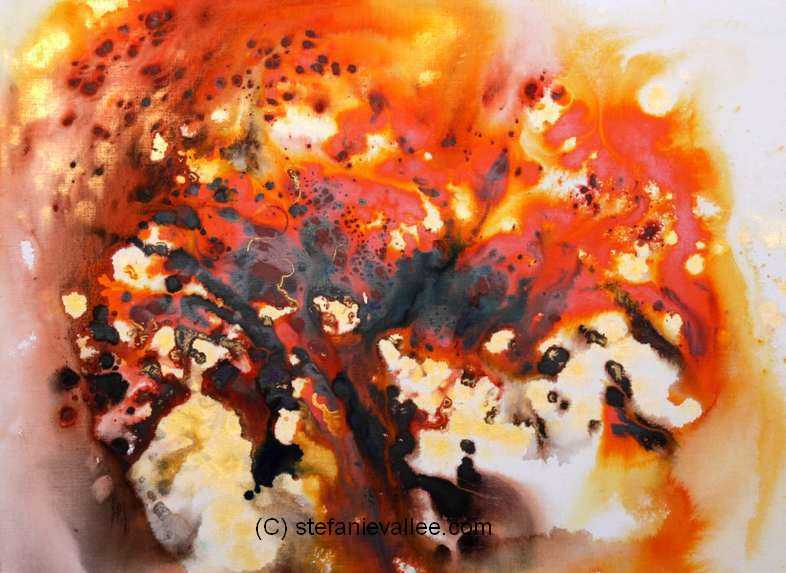 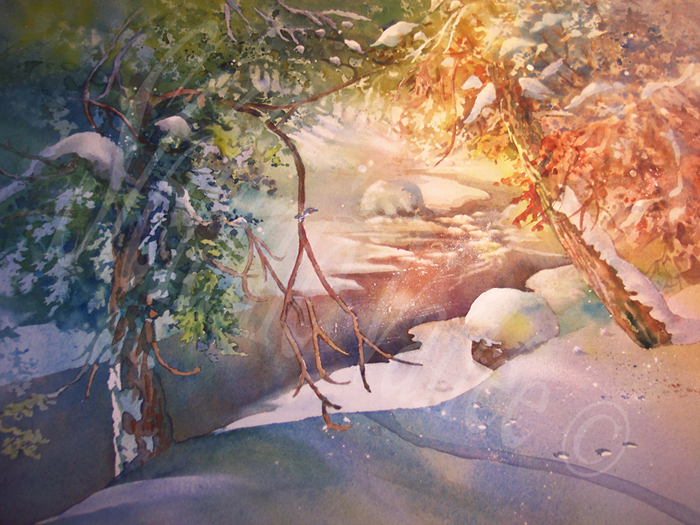 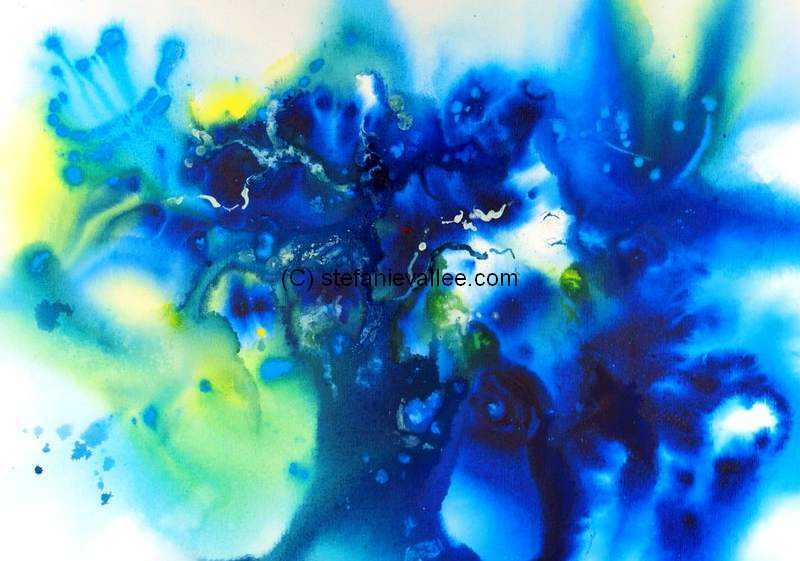 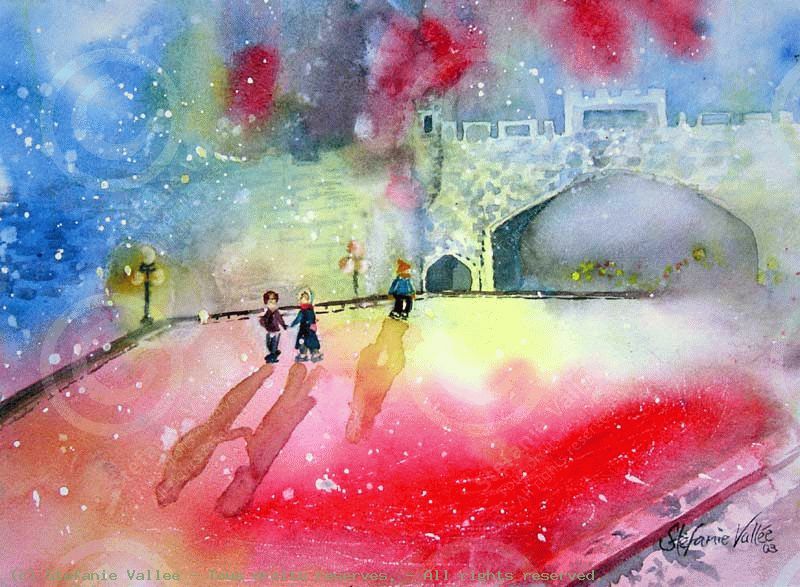 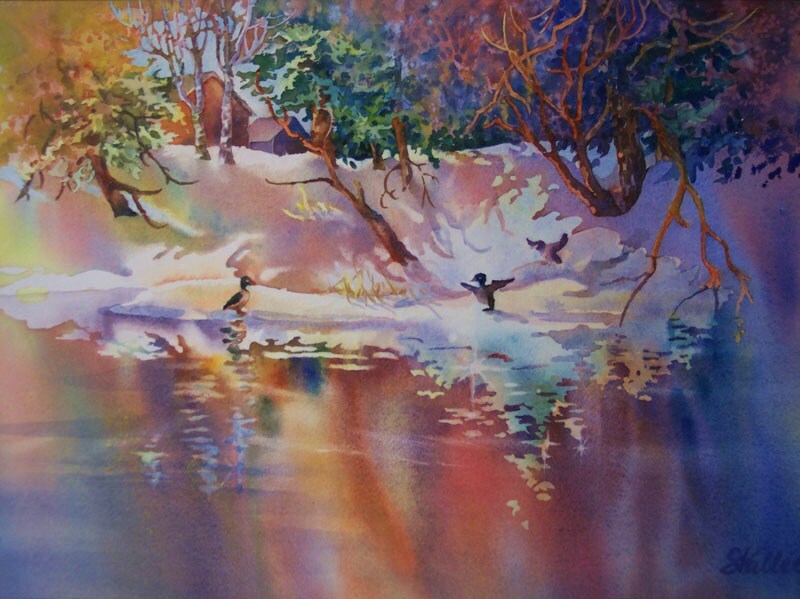 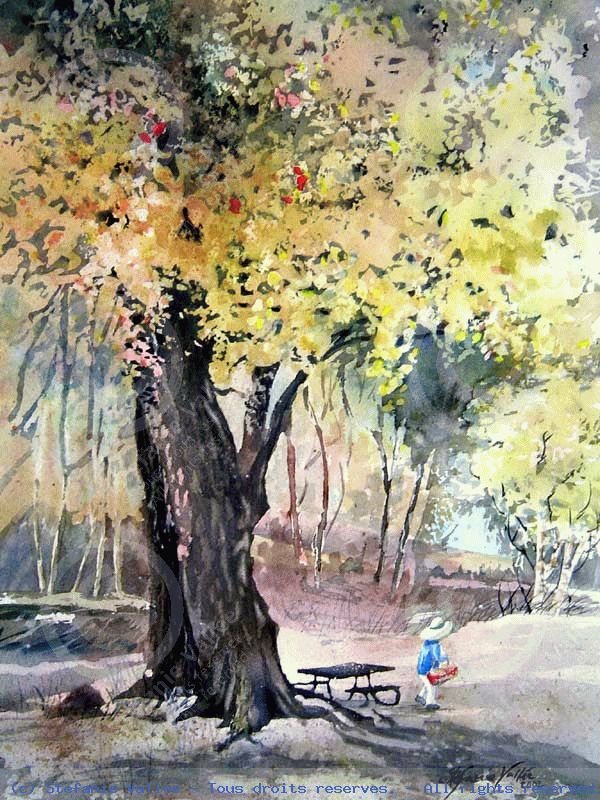 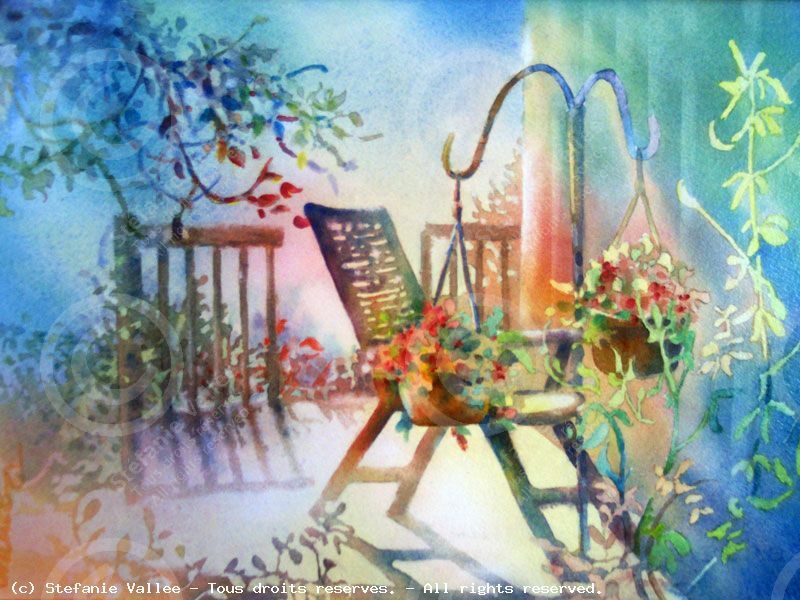 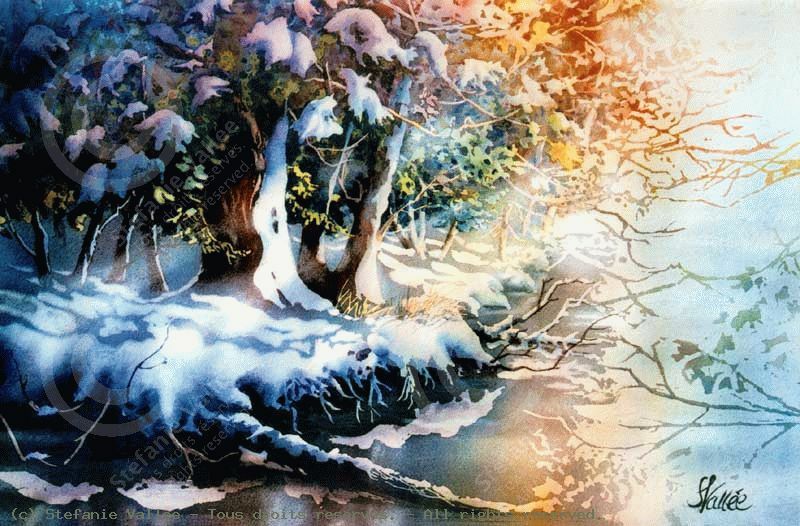 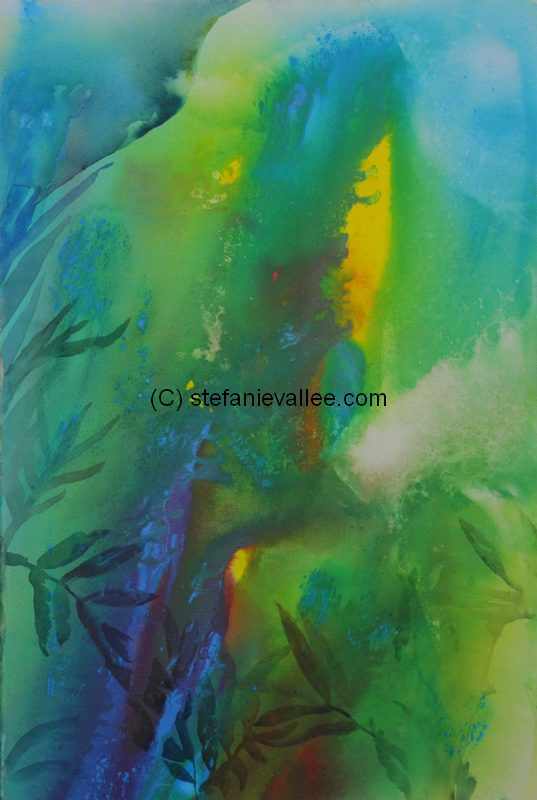 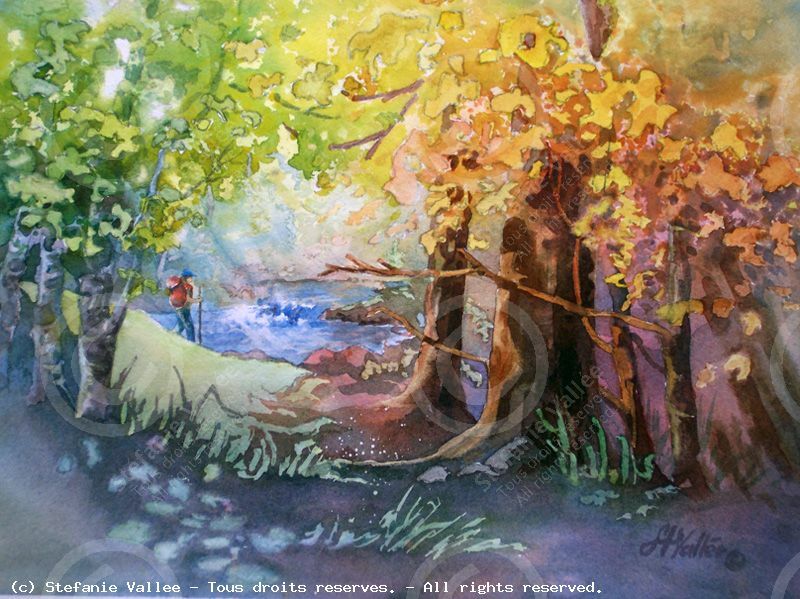 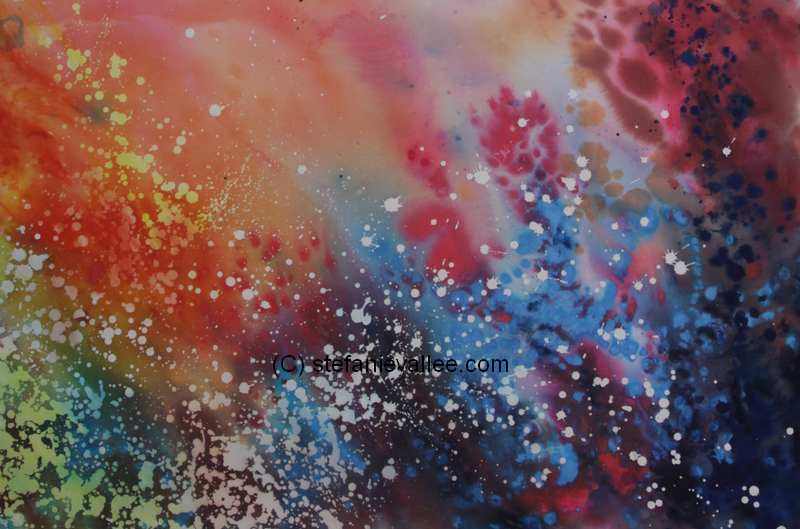 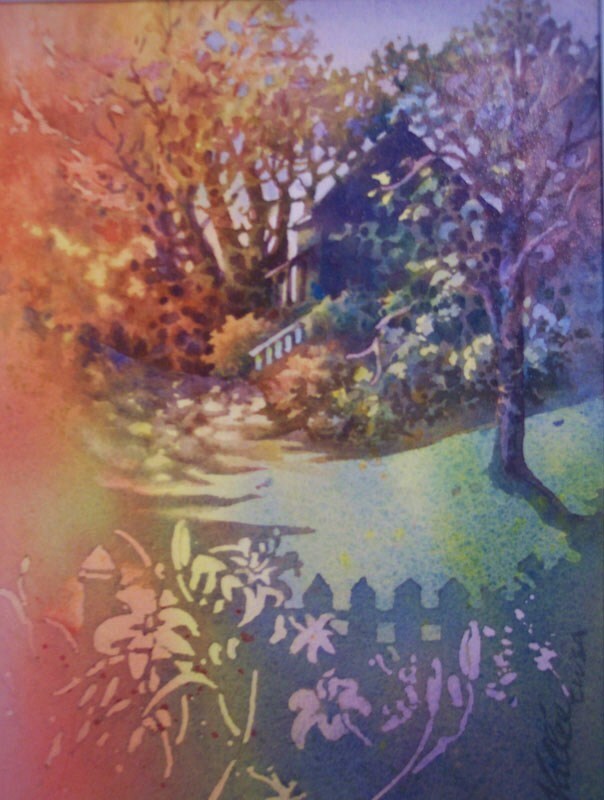 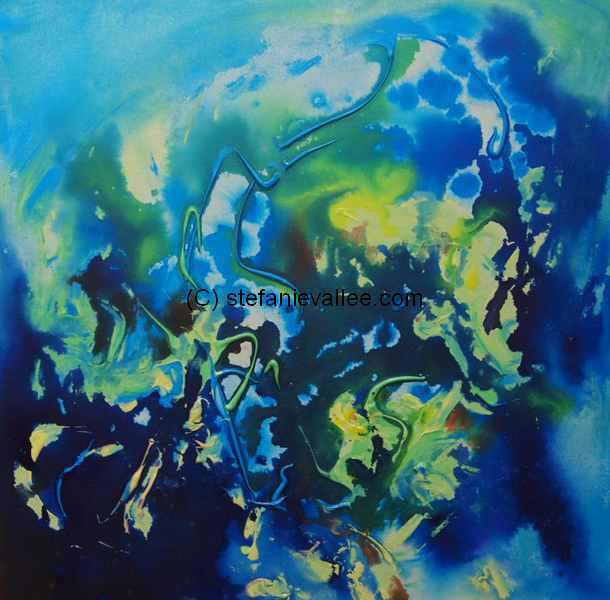 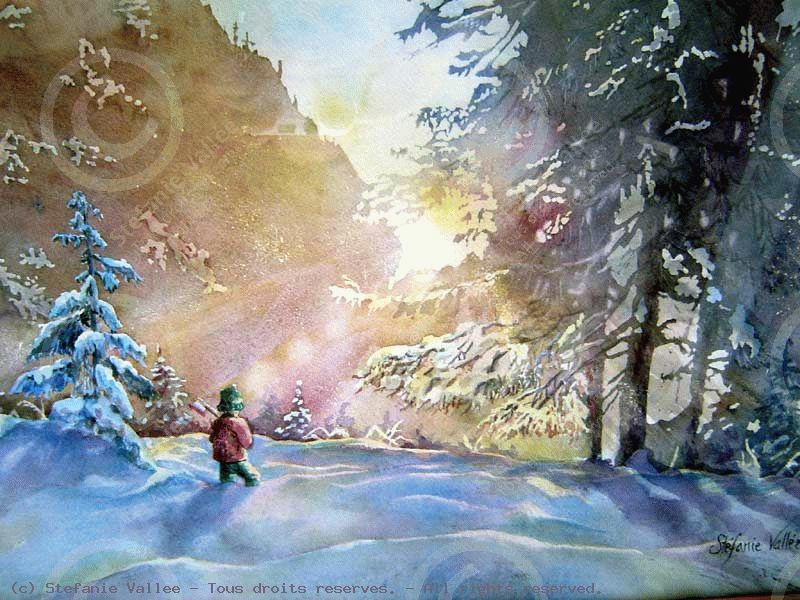 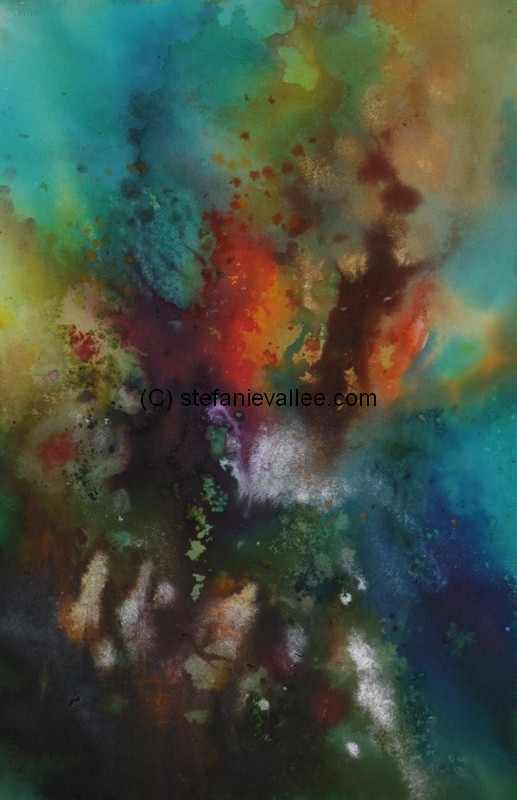 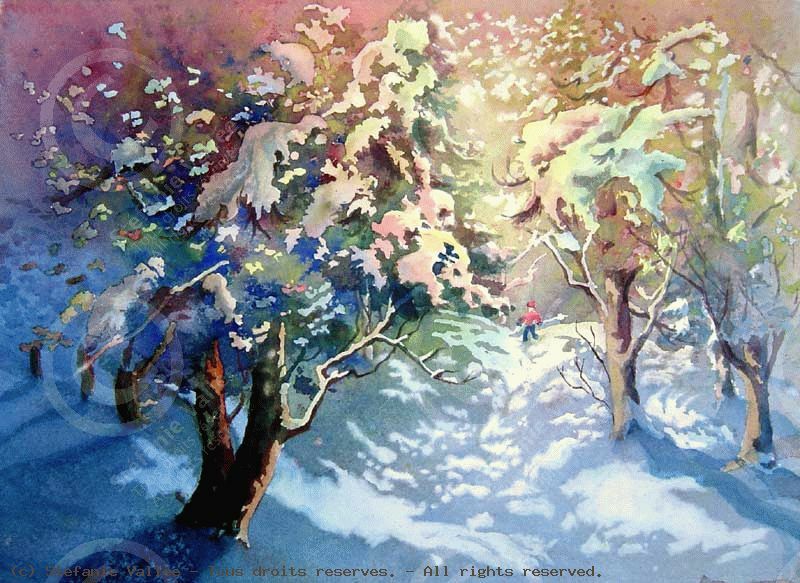 She is an accomplished water colorist and has received many awards and distinctions.Stéfanie masters a little-known water coloring technique called indirect painting »where 80% of each work of art is created without a brush by pouring color on the paper, directly from the palette. 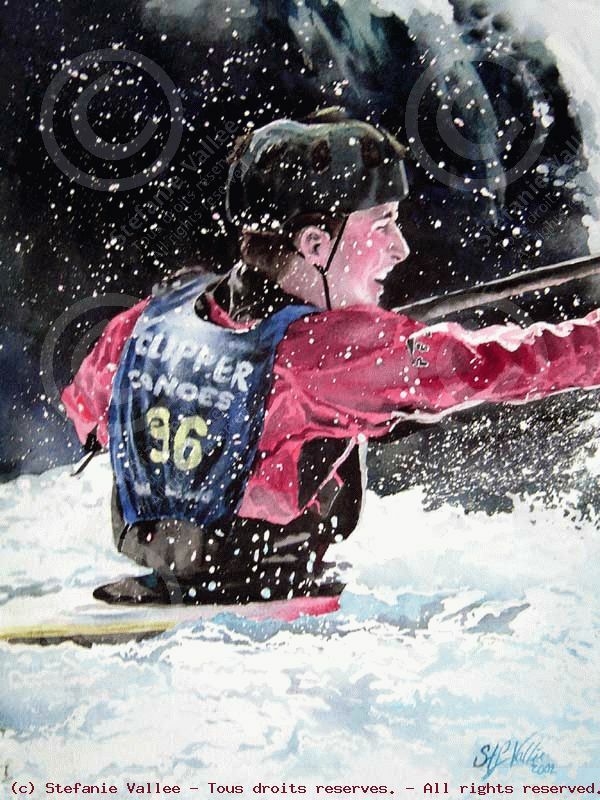 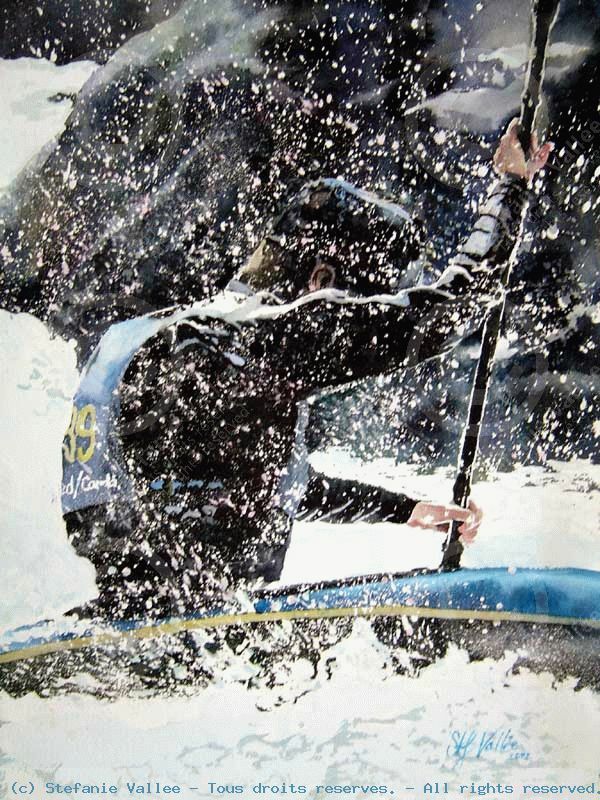 Feeling free and taking risks are sensations Stéfanie enjoys when she's creating art...and also when she is kayaking, the sport she excels at as a member of the Canadian National White Water Downriver Canoeing and Kayaking Team (Canadian Champion from 2003 until 2008, Gold Medalist at the US Championships in 2007, 5th at the World Cup in 2009).